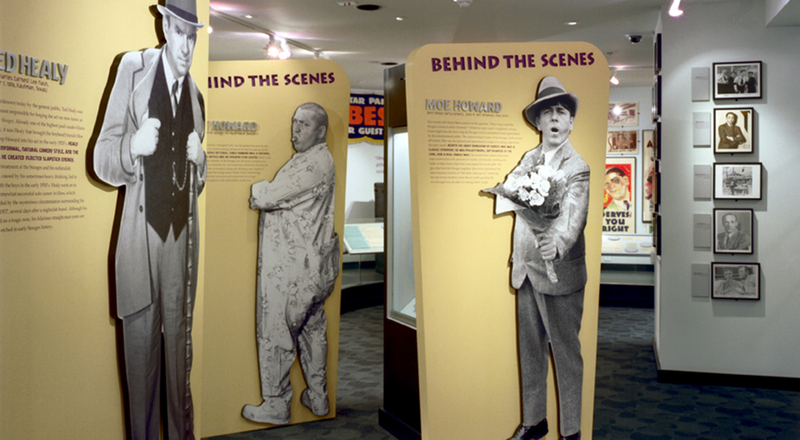 The Three Stooges are perhaps best known for filming 190 shorts for Columbia Pictures in addition to several feature-length films. 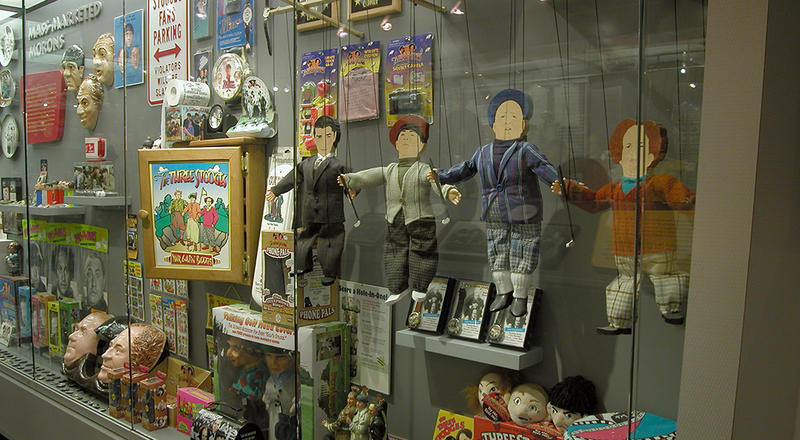 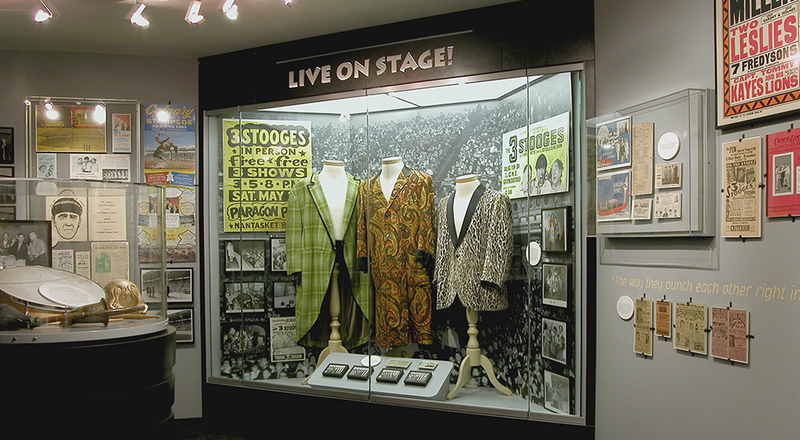 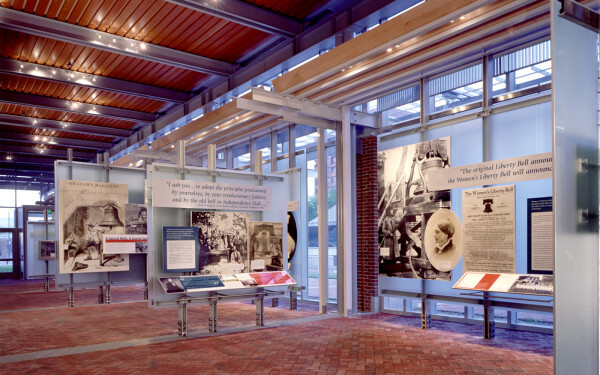 The new Stoogeum houses the largest collection of Stooges memorabilia in the country. 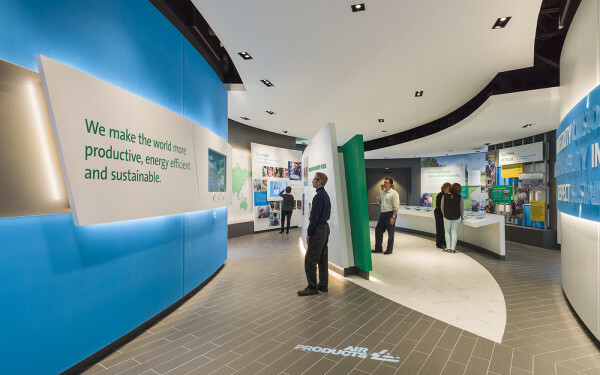 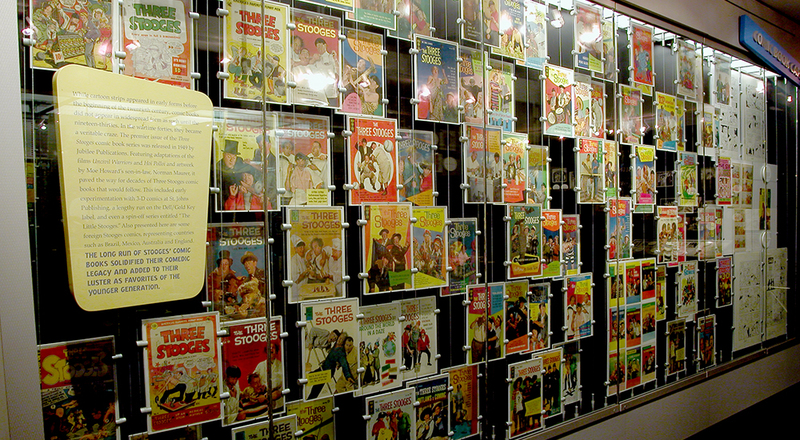 Interactive exhibits bring the private collection of over 25,000 items to life through customized arcade games, wallpaper comics, “Lobby Card Lane,” and a 3-D wall of comic book covers. 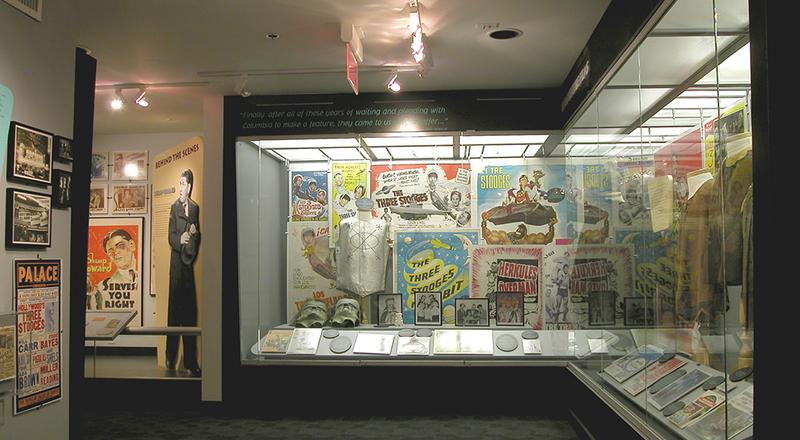 Life-size freestanding cutouts along with personal memorabilia offer individual encounters with each Stooge while “Numskull Lane” leads to a room of movie posters. 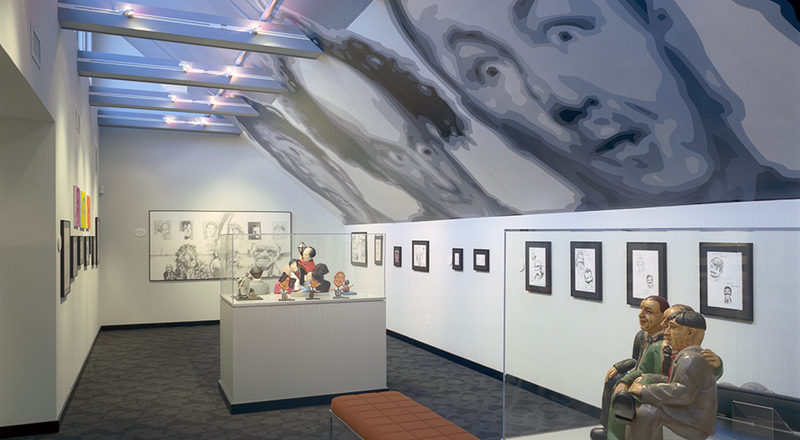 In the art gallery, a hand-painted ceiling mural immortalizes Moe, Larry, Curly, and Shemp and sends die-hard fans off wiggling their fingers under their chins.